Whiplash is a soft tissue injury to the neck are characterized by a collection of symptoms that occur following damage to the neck & Mid back, usually because of sudden extension and flexion. 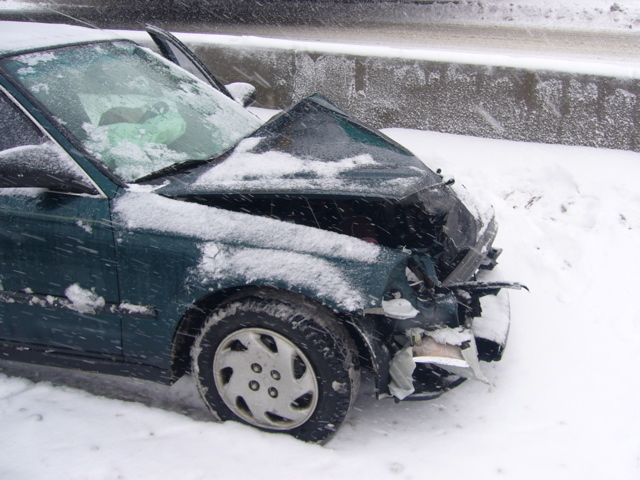 This disorder commonly occurs as the result of an automobile accident and may include injury to intervertebral joints, discs, ligaments, cervical muscles, and nerve roots. 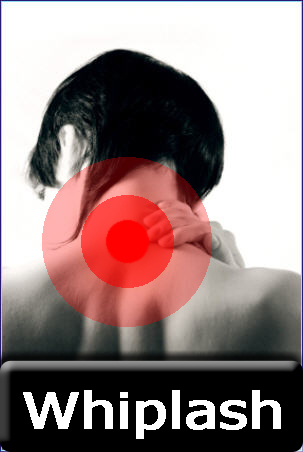 Symptoms such as neck pain and headaches may be present directly after the injury or may be delayed for several days. 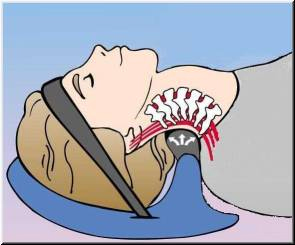 The most sinister pathology of whiplash injury is that the ligaments of the neck get stretched, this results in the loss of curve in the neck and the head will move forward. 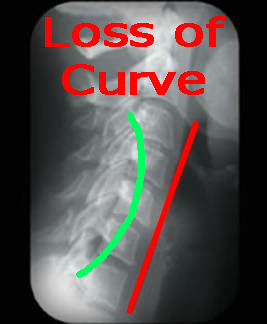 Unfortunately once a ligament is lengthened there is no way to shrink it, so the neck muscles must work hard to maintain correct neck curve (lordosis). The muscles can only compensate for the ligaments for a short time then the head moves forward and a degenerative cascade starts. 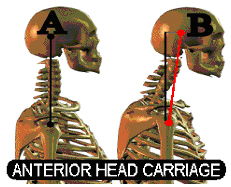 For every inch the head moves forward, multiply the weight of the head by the distance.The neck muscles spasm up to try to hold the head back, but since the curve is lost the muscles are unable to decrease anterior head carriage. Frequency and severity of headaches increases. Head feels heavy, mid back pain starts. Frequency and severity of neck and mid back pain increases. Neck vertebra and discs degenerate (Loss of disc height) . Shooting pain down arm into hand from loss of disc height. Once the spine has degenerated (THIRD PHASE OF SPINAL DEGENERATION) nothing can be done to correct or reverse the degeneration, only therapy for pain control. 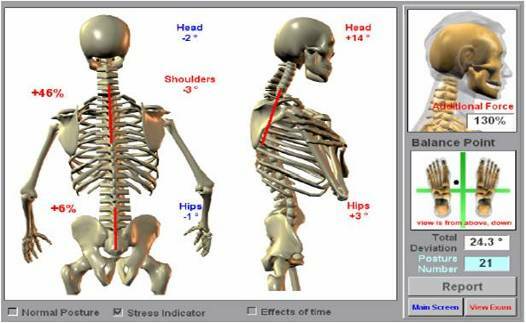 At the Optimum Health Clinic, Dr. Fedorov uses posture pro to diagnose the amount of anterior head carriage. Once a baseline is established, a program is implemented incorporating neuromuscular re-education and exercises of specific muscles that will restore the cervical curve. The length of therapy varies individually depending on the severity of accident, symptoms, and individual patient healing time. To decrease pain, and symptomatology: 3-4X/Week for 2-4 weeks. Strengthen neck and restore cervical lordosis: 2-3X/Week for 1-2 months. The Posture Pump is used to correct, and restore cervical lordosis. 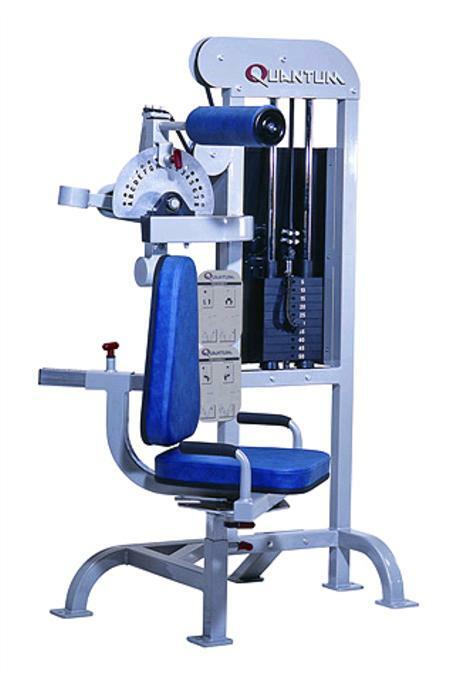 Quantum 8 Way Neck Rehabilitation to strengthen neck muscles. 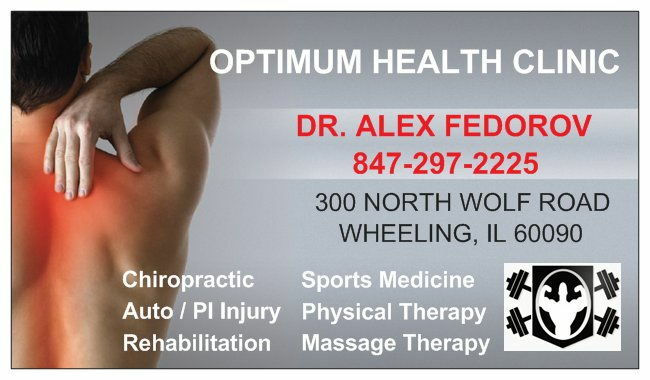 Typically Dr. Fedorov can alleviate the initial pain symptoms from the accident in about 3 weeks. The strengthening and neuromuscular re-education (2-3 months) of the neck is vital to ensure that the symptoms do not return, and that the neck does not go into a degenerative cascade (arthritis) as the result of trauma.